The iconic singer, whitney Houston was found dead in her hotel room, in the Beverly Hills Hilton. 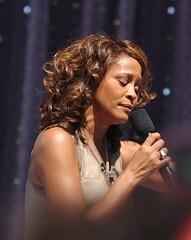 TMZ reports, Whitney’s only daughter Bobby Kristina and cousin Dionne Warwick was denied access to see the body. All the talk on Twitter and Facebook is about how shocked the nation is, learning of Whitney’s death. No illegal drugs were found in hotel room, but prescription drugs were found (TMZ). An autopsy will determine whether the legendary singer was Over dosed.